We wanted to bring an article about Solar Energy in agriculture because in these times farmers in tropical and developing countries are learning first hand how Climate Change and Global Warming are changing the way we do things in agriculture and other industries. A key component of mitigating Climate Change is Energy. Without practical and reliable sources of energy, the challenges with increasing production and stepping up to processing requirements to create more value-added commodities for markets and the community. Solar power technologies are rapidly developing that can assist with specialized tasks on the farm, without the massive investment needed to centralize ‘solar farms’. In the big picture, this segment of the energy access market is really only beginning. More investment from the private sector, ‘buy in’ from municipalities and local government, and global environmental foundations are coming together to step up. One of many examples is FuturePump. The company introduces itself by saying “Most of us are based in Western Kenya, but our team is spread around the world, including small offices in the UK, Nairobi, and Kigali, along with our very own manufacturing facility in Rajkot, India”. They’ve developed many downsized, efficient systems for application in developing countries. For example, they’ve developed a low-cost solar-powered irrigation system able to mitigate the impact of low and unpredictable rain events…a common barrier to success across the tropics and sub-tropics. Their portable irrigation pumps can lift enough water to irrigate a half-acre per hour. This enables small farms to have a significant increase in food production. Small cooperating groups of farmers can share such a tool and have an even greater impact across a community while spreading the expense across more hectares of land. In East Africa, they’ve already seen an impact from a $650 investment in the system. Integrating IoT (Internet of Things) allows for access to payment systems (including payment plans), assistance with the operation, repair information, and other valuable tools from a smartphone. FuturePump has received assistance and support to establish operations in Kenya and introducing them to distributors and sales partners throughout the region. The company was also given access to testing facilities through the KCIC at the Kenya Industrial Research and Development Institute, to test the performance of the pump. One can only imagine the endless amount of energy provided by the sun. One source claims that all of the total energy held in the world’s reserves of oil, coal and natural gas; can be matched with just 20 days of sunshine. Some might call it a ‘no-brainer’ for countries like Africa. Solar power is most commonly used to generate electricity and heat water. There are many other applications, however. From Soventix’s, a solar company headquartered in Germany, with subsidiaries across the globe, they’ve identified 5 basic focal points for solar opportunities on farms in developing countries. 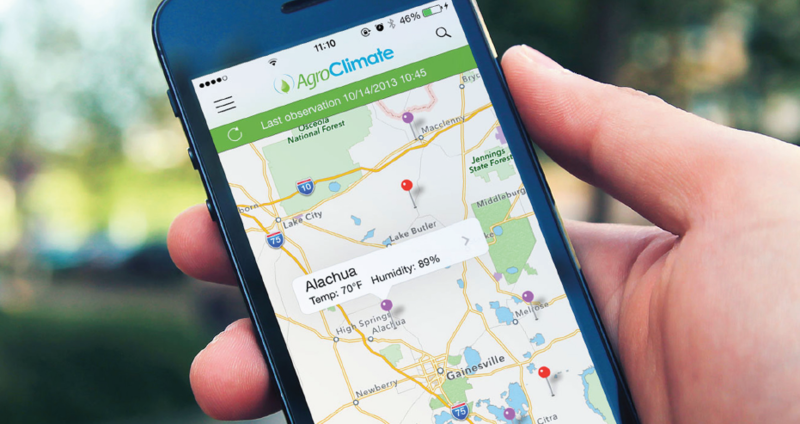 With the smartphone becoming the commonplace, and where communication infrastructures exist, the opportunity for gathering important data from moisture and weather sensors in the field streamlines the farmer’s ability to better manage their field with better information. While wireless sensor nodes offer a brief solution, it is often inconvenient and time-consuming to replace the batteries regularly. Enter solar power, and this problem is solved. Sensors are being developed and applied beyond the field… Electronic tags on livestock can make it possible to track and automatically monitor and control the feeding, watering, and monitoring condition of animals from great distances. Electric fences powered by the sun greatly expand how to manage pastures more effectively and in places you couldn’t otherwise have them due to limitations from historical electrical grids. Some sources claim that agriculture is the world’s second-largest emitter of greenhouse gas; surpassed only by the energy sector. Based on this statistic, much focus has been placed on the importance of solar power within farming as it can infiltrate the two sectors on which focus on mitigation is aimed. Traditional commercial greenhouses often rely on gas or oil heaters in order to maintain constant temperatures. Solar greenhouses collect and store solar energy during sunny days, making it possible to retain the heat for use during the night and on cloudy days. Solar can also power cooling systems needed to regulate air flow, irrigation, air conditioning, and other ways to keep the plants cool. This is perhaps the biggest opportunity in arid regions of the world. As water treatment and filtering technologies are developed where water tables are so high in salts and other deleterious elements, they too can be powered from the sun. 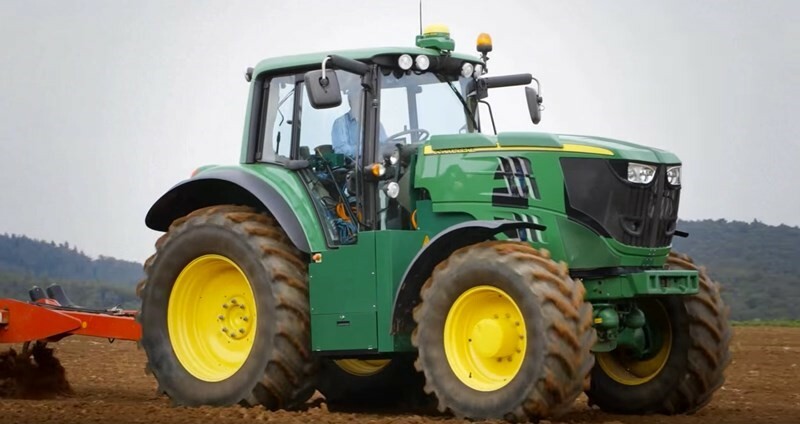 Tractors are primarily diesel-powered but look for technologies toward electric assist using solar to greatly expand in future years. The technology is there and is in fact in place with some powered tools in agriculture of all sizes, but look for it to greatly expand in the industry in coming years. Some research has shown that agricultural electric vehicles could avert 23.3 tonnes of greenhouse gases each year. 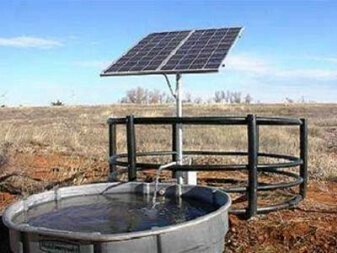 One of the biggest barriers to applying solar in remote agricultural locations is having an infrastructure to service it. Availability of affordable parts and service information is improving, and coming down to a more affordable solution for small farms. 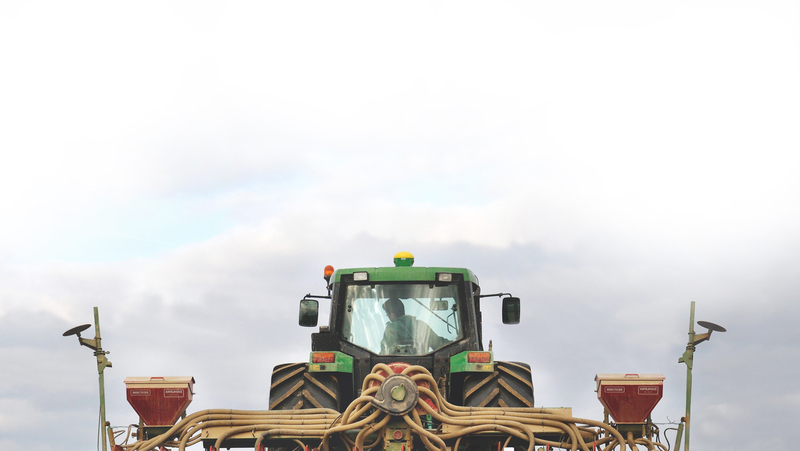 Systems are driven by ease of set up and operation, a key requirement for any farm.